2017 brought with it an exciting new addition to the Iberá Park rewilding program. At the beginning of January, Chiqui, a six year-old wild-born male jaguar was transferred to the park’s Jaguar Breeding Center from a zoo in Paraguay. After several months of negotiations and paperwork, our team, led by CLT Rewilding Coordinator Sebastian Di Martino, was able to translocate the jaguar across the Paraguayan border into Argentina. This international relocation was the first of this kind and an exciting step forward in the park’s groundbreaking jaguar breeding program. Established in 2011, the Iberá Jaguar Breeding Center has become the crown jewel of the park’s rewilding and restoration projects. As the area’s original top predator, the jaguar is a keystone species of the Iberá wetlands, grasslands and forests, vital to ensuring the long-term sustainability of the ecosystem. 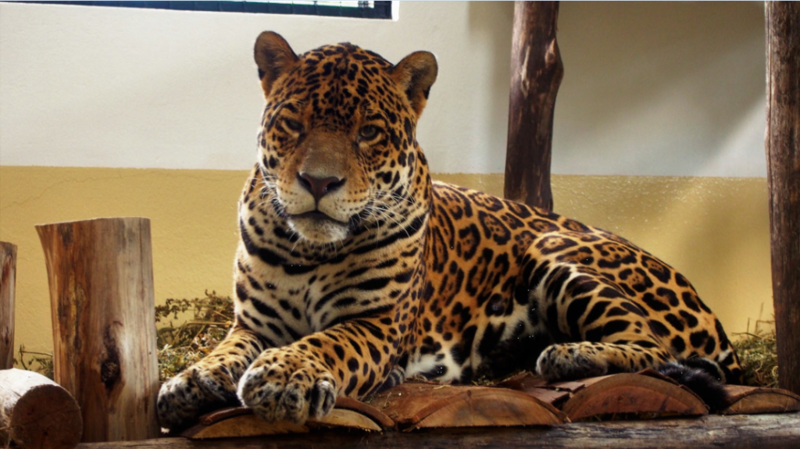 Having been extirpated from the region during 20th century industrial development, the jaguar no longer provides the balance that the area desperately needs. With 650,000 acres of prime jaguar habitat and an experienced team of experts, Iberá is the ready for the return of this iconic and fundamental species. The first breeding pair to enter the park’s program, Tobuna and Nahuel, arrived at the center between 2015 and 2016 from zoos in Argentina. The pair has mated and we are waiting to see if the female is pregnant. However, in order for the program to have long-term success, we must have a range of viable animals. The addition of Chiqui to the program not only helps to increase the Center’s potential breeding numbers, but also helps to boost political interest and support across all levels of government. This support was demonstrated when Correntine authorities marked the arrival of Chiqui with a special press conference at the Breeding Center and bestowed the park’s new jaguar with a special Correntine Passport. The Iberá jaguar program is a point of pride for the region and we are looking forward to seeing how it continues to grow and evolve. Chiqui will be spending about a month in our quarantine facilities as he passes health screenings. 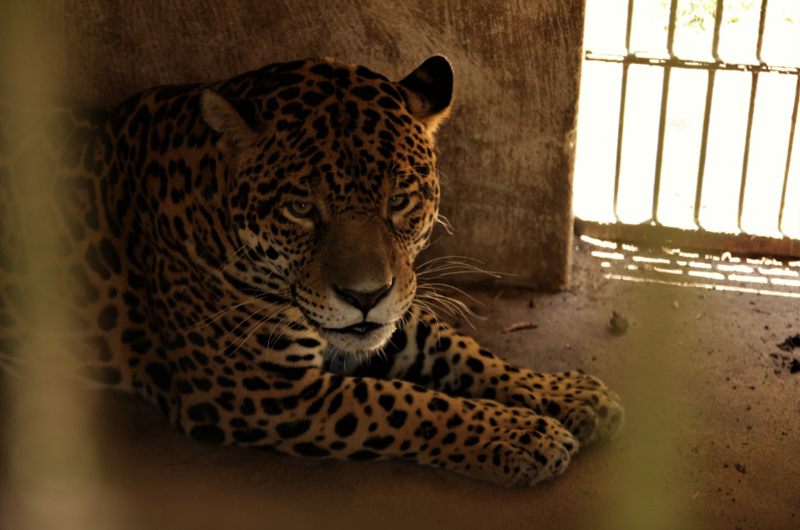 Once he’s been cleared, the jaguar will be able to fully explore his new home.